Steenberg Rattlesnake is a decadent Sauvignon Blanc for cooler days Discover the elegance and comforting qualities of a beautifully textured Sauvignon Blanc as the chilly season begins to breeze in. Steenberg Rattlesnake Sauvignon Blanc is the ultimate nuanced wine with a rich and creamy mouthfeel that is both comforting and expressive of its singular cool climate origins. The just released Steenberg Rattlesnake 2018 is a lightly wooded rendition that completes Steenberg’s three single varietal tiers of Sauvignon Blanc, each expressing the Steenberg terroir and unique sense of place in the Constantia wine valley. The Rattlesnake is set apart by its exceptionally creamy texture and velvety mouthfeel, not usually associated with Sauvignon Blanc, while simultaneously expressing a backbone of spicy acidity and a lingering mineral finish so quintessentially Steenberg. Hints of citrus reveal the winter persona of this wine even further as grapefruit, Cape gooseberry, nectarine and blackcurrant marry on the nose and palate. The Rattlesnake’s alluring character inspired Steenberg Executive Chef Kerry Kilpin to create an equally nurturing risotto dish. 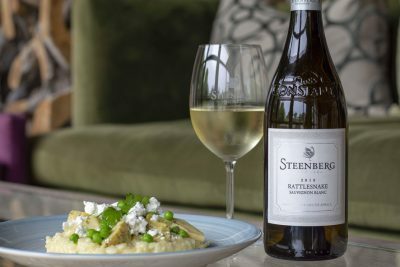 Made with a generous splash of Steenberg Rattlesnake, her artichoke, pea and chevin risotto is absolute comfort food that is even more enjoyable when paired with a glass or two of this warming, voluptuous Sauvignon Blanc. The 2018 vintage owes its creamy texture to meticulous attention in the cellar, mastering the fine art of adding complexity while retaining freshness and purity of fruit. The wine was fermented and aged for nine months in predominantly older large French oak barrels. A portion of the wine was fermented separately in concrete egg fermentation tanks that have become part of the wine’s evolution since the 2017 vintage. Much like the classic wooden barrel, the egg-shaped concrete tank is permeable to air enabling the winemaking team to enhance the textural quality even further and really push . . . In support of the World Water Day, 22 March 2019, a number of initiatives around the country are aimed at reminding South Africans just how precious this resource is - something that recently hit home when a number of provinces around the country suffered severe drought. The memory of the much-dreaded “Day Zero” that loomed over the City of Cape Town is still fresh in the nation’s collective memory. Whilst the Cape had good rainfall over the winter of 2018, many regions of the country are still experiencing severe water shortages and the nation as a whole has become well aware that going forward, water will remain a scarce resource. It remains the responsibility of every citizen to purposefully work at conserving water. Finish dishwashing products have launched a drive to highlight the ways to conserve water by utilising modern dishwashing technology. #DishwashersSaveWater With soaring utility bills, consumers are looking for ways to economise around the home. 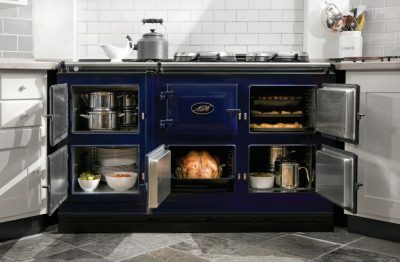 Obvious ways such as turning off lights, showering instead of taking a bath and installing a rainwater storage tank are popular, however - another very effective measure, that could surprise many is using a dishwasher to wash up, rather than doing your dishes by hand. The idea that a dishwasher uses a great deal of water every time it goes through a full cycle is a common misconception. In reality, industry leaders like Finish dishwashing products, have calculated that using a dishwasher is more efficient than hand washing your dishes – saving you money and time and freeing you up to do more worthwhile activities, like spending time with family and friends. A dishwasher uses and heats only the exact amount of water needed, cleaning and re-circulating on average 12 litres of water per cycle. This means a family of 4 could save on average 51 litres of water per load, compared to handwashing. "Looking after our natural resources is a responsibility we take seriously. Using a dishwasher uses . . .
Homesmart SA has introduced a new range of modern toggle switches for those interested in home decor lighting. Their toggle light switches make flipping a switch more satisfying than ever. Their light switches are designed to be easy on the hands and give homes a classy, retro modern appeal. Don’t let your rooms get you down and start living a fuller life! Ditch the switch that has been a neglected eyesore and change to a toggle switch that not only feels easy on the hand but also adds a classic vintage look to the home. 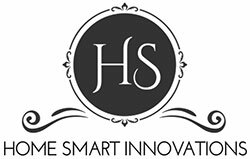 South Africa trusts Homesmart SA for their ingenuity to turn mundane everyday items into products that are not only a source of convenience but are also unique, distinctive & elegant. There is no better place to start than with an item we use countless times a day. Homesmart SA sets the industry standard for quality, high performing home decor lighting products. Their line of toggle switches feature a variety of wall mounting options available with a full array of choice. Designed to outperform other lights and toggle switches on the market, Homesmart SA’s lights and light switches are specifically known to be top of the range when it comes to longevity, aesthetics, finishing, quality, and variety. Their toggle switch range are all CCCs, CE, GB/16915,1 and RoHS2 compliant.Customers get to choose from the Bastille, Classic Vintage and Houdini ranges. 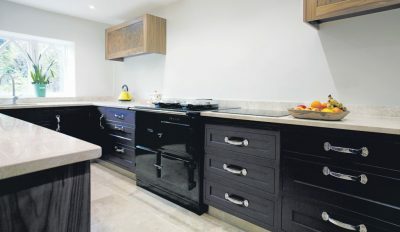 The panels are stainless steel and come in a selection of choices like pearl gold, deep bronze, black, grey and white. All colours are provided in 1,2,3 and 4 gang light switches and come with a wall box. These toggle switches can withstand currents up to 10 AMPS and voltages between 220 to 250. Homesmart SA offers free courier delivery, dispatched within 24 Hours. Secure credit card checkout with PayFast with an EFT option. About Homesmart Homesmart SA is known for their decor lights and light switches. They have been serving the South African market with dedication and aim to . . . Survivor gold rush at International Wine competition Survivor, the free spirited Swartland wine range, has triumphed at the 2019 MUNDUS VINI Spring Tasting in Germany with gold medals for two of its red wines. The gold medallists are Survivor Pinotage 2017 and Survivor Wild Yeast Syrah 2017, the brand new addition to the trusty Survivor fold. Both wines were among the award winners showcased this week at ProWein in Düsseldorf, the world’s largest trade fair for wine and spirits. MUNDUS VINI, founded 18 years ago by the publishing company Meininger Verlag, is Germany’s leading wine competition. The judging panel for the 2019 Spring Tasting comprised 260 wine experts from 50 countries who assessed 7 200 wines over six days from 156 wine-growing regions across the globe. The just released Survivor Wild Yeast Syrah 2017 is a dark, full-bodied wine with luscious layers of violets, blackberries and spice supported by soft, supple tannins. This 100% Syrah was fermented in 500L French oak barrels using only naturally occurring yeasts. Survivor Pinotage 2017, the second 2019 MUNDUS VINI gold medallist in this intrepid range, is a barrel matured pure blooded Swartland wine teeming with hearty fruit flavours such as prune, plum and cherry, complemented by elegant spice and cedar notes. 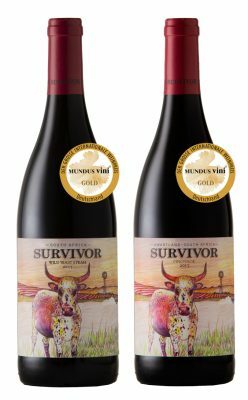 Survivor takes its name from the tale of a hardy Nguni cow that jumped off an open bakkie while being transported from one Swartland farm to another, landing unscathed in the middle of a vineyard. A metaphor for brave choices, the story of the Nguni cow continues to inspire this adventurous wine range from Overhex Wines International. The 2017 Survivor Pinotage and Wild Yeast Syrah are available at a cellar door price of R161 and R185 respectively. For online purchases visit www.survivorwines.com. Follow @survivorwines on Facebook, Twitter and Instagram. CLICK HERE to submit your press release to MyPR.co.za. . . . The tongue has 10,000 taste buds able to recognise five distinct tastes: sweet, sour, salty, savoury and – the most complex of these – bitter. On the hand, the nose has 10,000 more receptors than this. Both the tongue and the nose use the same types of receptors, so aromas make a huge impact on what we taste. Now let's put this in the context of gastronomy... For over a hundred years, bitters have been considered an essential component of many cocktail recipes, but less is known about when it became a part of the kitchen. Of course, bitters are seldom used in cooking or baking, with the exception of chefs and experimental home cooks. It’s about time this changed. It’s an ingredient that no home kitchen should be without! The flavours of appetisers, entrees and desserts can be enhanced with just a few dashes of Angostura aromatic bitters. 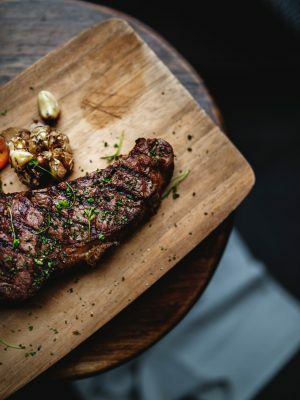 Not at all bitter when added to food, it has been found to intensify the flavour of other ingredients and, for those who are sensitive, can even counteract the acidic component of tart dishes. In Angostura’s home country of Trinidad and Tobago, bitters are added to dishes like breads, soups, and marinades. In fact, Angostura is so serious about cooking with bitters that in 1960 they released a handbook called The Secret of Good Taste: The Angostura Cook Book championing recipes that called for a dash of bitters. Today, a collection of these recipes can be found on the Angostura bitters website. In celebration of bittered cooking, VinePair has released a selection of bittered recipes created by chefs across the USA from cookies to coffee, and even steak. Here are a few of our top picks from their collection for when you’re entertaining at home: SQUASH SOUP By David Baudek of The Kerryman Bar & Restaurant in Chicago Ingredients - 2 tablespoons unsalted butter - 2 large leeks, thinly sliced, white and pale green parts only - ±1kg winter squash (butternut or pumpkin) - ±1L low-sodium chicken stock or broth - . . .
We all understand the importance of keeping clean throughout the day, to not only feel confident but also to minimise unwanted bacteria, especially when going in and out of bathrooms. This is why Baby Soft® toilet paper is proud to introduce new “SoftWave Design”. The brand continues to create innovation that is will give you not only a softer experience, but to also provide you with a better clean. Baby Soft® conducted a consumer survey where it was found that 55% of their consumers claim that dry bath tissue alone does not get them clean enough. Research also shows that most people feel shower clean during the morning until the activities of the day start creeping in whereas after midday that fresh shower clean feeling starts declining, resulting in their feeling uncomfortable and less confident. This is why Baby Soft® introduced a more efficient clean through this new innovation. “Baby Soft® commits to providing a noticeable experience of clean that resets how you feel, so you can leave the bathroom feeling renewed and ready for what is next. Baby Soft® is doing this by introducing the “SoftWave design” that works hard so you don’t have to.” says Li-Anne Hide, Marketing Manager of Family Care at Kimberly Clark. 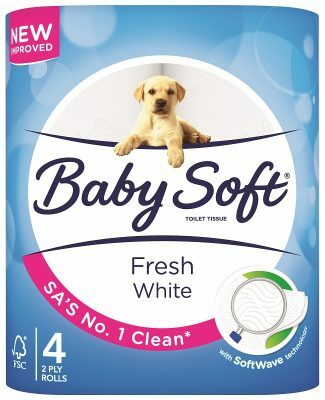 Baby Soft® continues to provide a thick, soft and absorbent range, offering families good value with every purchase. Not only does the range now carry out all those same great benefits that we love but now also promises you a clean that renews you. The new design provides a superior clean efficiency through its active textures and ultimate skin comfort through Baby Soft®’s trusted softness. Baby Soft® also offers their Moist Toilet Tissues to add to your clean routine. By using both the Dry Toilet Tissue and Moist Toilet Tissue you are sure to experience a new hygienic clean. With the new Baby Soft® “SoftWave design” and clean routine you will feel at your absolute best and maintain the confidence that you need throughout the day. The new . . . Though we are already three months into the year 2019, school essentials, such as stationery, are still a great need for many children. It is never too early or too late to ensure that children are equipped with the necessary tools in order for them to thrive at school. It is for this reason that Wimpy donated a significant amount of stationery to Nokuphila School. The Wimpy team recently gathered SpongeBob stationery that was part of a promotion and hand-delivered it to the children and Early Childhood Development (ECD) teachers from Nokuphila School. The school is owned and run by the Love Trust and assists children from Tembisa and Ivory Park who are from poverty-stricken backgrounds. “When we heard about the wonderful work that is done by the Love Trust for the community of Tembisa through Nokuphila School, we wanted to contribute in a meaningful way – and what’s better than donating stationery that children will use as they get an education that will better their lives’, said Jacques Cronje, Wimpy Marketing Executive. 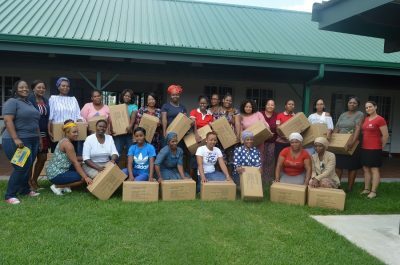 “As a brand that is centred around family, we know that children are a very important component of the family unit, and we hope this donation of stationery will bring much-needed relief to families that aren’t able to provide it for their children.” The stationery that was donated will not only benefit Nokuphila School but also over 30 ECDs in Tembisa such as Ikamva Lethu, Kopano keMatla and Future Nation Day Care, only to name a few, that the teachers that are trained at Nokuphila School teach at. The quality education that is provided by the school filters beyond the premises of Nokuphila through the ECD teachers that teach in the community. Since the school is run by a Non-Government Organisation (NGO), the upkeep and operations are completely dependent on donations from businesses and independent donors. If you’d like to join Wimpy and make a difference in the lives of children from disadvantaged backgrounds, please visit: . . . 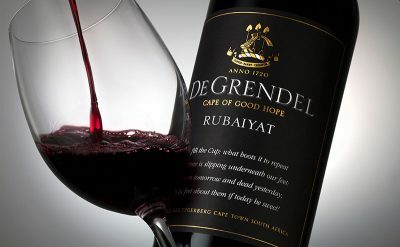 In the most recent Mundus Vini Spring Tasting, De Grendel’s signature red wine, Rubaiyat, scooped yet another prestigious gold medal to add to its long list of accolades. The award-winning 2015 vintage already bagged one platinum, 3 golds, 1 double gold as well as the Trophy for the South African Wine of the Year from China Wine & Spirits Awards. The Mundus Vini is regarded as a prestigious international competition for wines from all wine-growing regions around the world. The aim of the competition is to promote wine quality and to award wines of excellence. An international jury delivers an independent, neutral and expert verdict on the wines, thereby guaranteeing that the competition is both fair and professional. This bestows a high level of recognition upon the medals awarded at Mundus Vini, the prize-winning wines and their producers. For a wine to receive a gold medal, a minimum of 90 points should be awarded by the jury. A long-held dream by the late Sir David Graaff to produce a first-class Bordeaux-style red blend, was realised in the spring of 2009 when the maiden 2006 vintage was released. The current 2015 vintage is a thoughtful construction of only the finest grapes by Cellar Master Charles Hopkins and consists of 70% Cabernet Sauvignon, 25% Petit Verdot, 4% Merlot and 1% Cabernet Franc. The Cabernet Sauvignon vineyards are situated in the Firgrove area, approximately 6 km from False Bay. The grapes are selected from specific sites focusing on lower yields, the age of the vines, and the soil types. The aver¬age berry weight of the selected vines is less than a gram, making them small and delivering excellent flavour concentration. The Cabernet Franc thrives in Cape coffee stone while the Merlot and Petit Verdot both perform well in weathered blue Durbanville shale. The name Rubaiyat is the Persian word for a quatrain: a verse comprising four lines reflecting the four varietal components of the blend. Inspiration came from the Graaff . . .